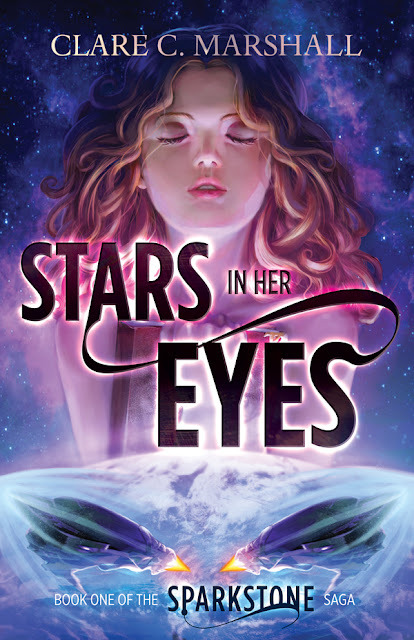 I just love today's Cover Reveal for Clare C. Marshall's novel, Stars in Her Eyes! The colors are gorgeous and the novel sounds amazing! PLUS, you can win your very own copy!!! Who's ready for a giveaway?! Thanks to Clare, you lovely Steph's Stackers have an opportunity to win your very own eARC of Stars in Her Eyes. Just fill out the Rafflecopter form below!